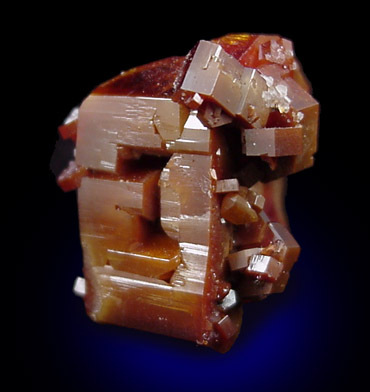 Description: Exceptionally large crystal (25 mm!) 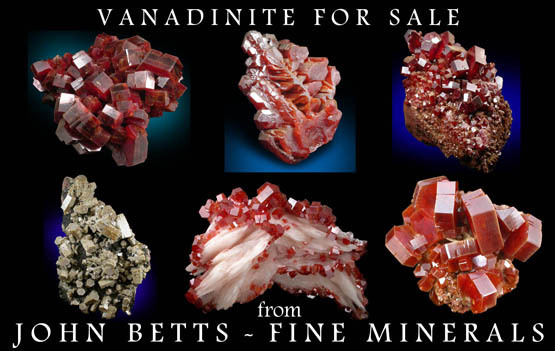 of red vanadinite with many smaller vanadinites attached to the faces. 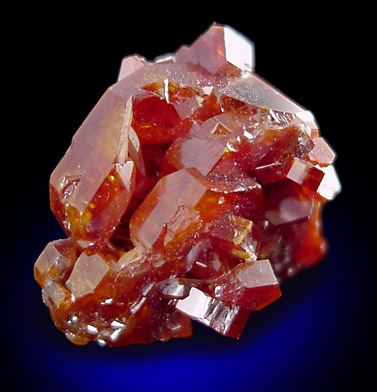 The formation is fully crystallized front and back, with only a small 2 mm point of attachment.